In the age of homesharing, it was bound to happen that vacation rental property management software would find its niche. 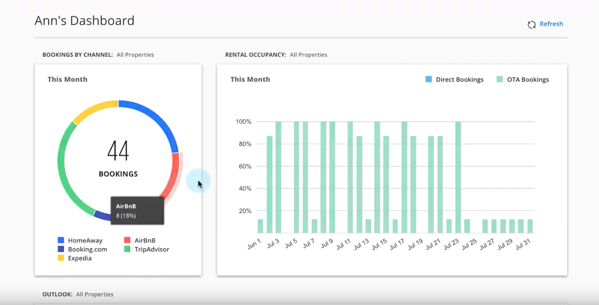 Regular, residential property management software will work in a pinch, but there are a few rental-specific tasks it can’t address, for example, booking management and marketing automation. While property management software tailored to apartment buildings and other short-term residencies does cover rental management and regular real estate listing needs, it doesn’t specifically purvey to vacationers. Whether weeklong Airbnb corporate bookings or weekend bed and breakfasts, vacation rentals regularly accept multiple reservations, require housekeeping and accept a variety of one-off payments. Owners or landlords of those properties generally only manage a handful of rooms or properties, rather than a large residential property with multiple units. Additionally, vacation rental owners want to drive growth, constantly push property listings and tweak their offerings and marketing efforts in response to guest feedback. Hence, the emergence of the urgently needed vacation rental management space. Within this space, there’s a lot of variety. Vacation rental software can range from simple channel managers to expansive property management programs. 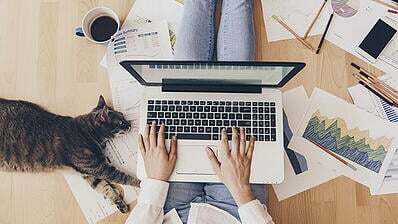 Additionally, some vacation rental programs offer unique pay structures — instead of, say, charging a monthly or yearly software subscription fee, they make money by charging a commission on each booking. These vacation rental management vendors simply mark up the price of a vacation rental, which falls on the guest to pay. This kind of payment structure is helpful for vacation managers who want to scale and don’t want to pay a lot on a one-time implementation fee, but still wish to provide white-glove service. Platforms that are actually free — i.e., no commission markup — do exist, and these free vacation rental property management programs often work quite well. G2 Crowd recently showcased the best free property management software on the site. This post will discuss the best free rental-specific property management, aka vacation rental management, options on the market. What is the best free vacation rental software in 2019? These products alone have received nearly 20 validated user reviews on G2 Crowd as of Jan. 17, 2019, and only represent a small portion of the 100-plus vacation rental software offerings listed on our platform. Products are ranked by number of reviews, then by satisfaction score, then alphabetically. This list includes any vacation rental software product with an available free offering. It should be noted that this does not include products that are only free on a temporary basis, such as limited trial versions for new users. They may only support one user or one project, but they’re truly free offerings. Scaling, however, will often require full investments. Tokeet simplifies the entire short-term rental management workflow. With Tokeet, vacation rental owners can automate channel management and synchronization, schedule invoicing, provide e-signature capabilities on guest contracts and use the Tokeet mobile app for on-the-go management. Tokeet’s free, lightweight version is only available to vacation rental managers who own one rental property. Features include a reservation manager and channel manager. Owner: Designed for vacation rental managers who own between two and 10 rentals; $30/month. Agent: Designed for vacation rental managers who own between 11 and 35 rentals; $59.99/month. Manager: Designed for vacation rental managers who own between 36 and 200 rentals; $149.99/month. Unlimited: Designed for vacation rental managers who own between 201 and 10,000 rentals; $500/month. 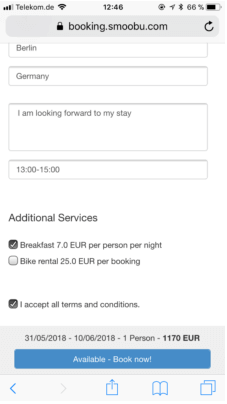 — Tokeet review by Jane L.
— Tokeet review by Ryan S.
— Tokeet review by J Thomas B.
Smoobu simplifies the booking management system for vacation rental managers. 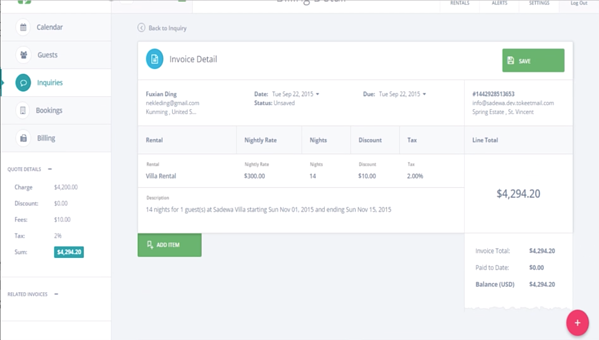 Smoobu’s basic version provides property managers easy-to-digest reports regarding their bookings and guests. The priced version of Smoobu comes with more comprehensive functionality, including a channel manager and a communication platform that connects manager to guest. Smoobu’s free edition provides vacation rental owners the basics to optimize the marketing and booking of their properties. Professional: Designed for vacation rental managers who own a small number of rentals; €15.20/month for 1 rental and an additional €4 per month for additional properties. 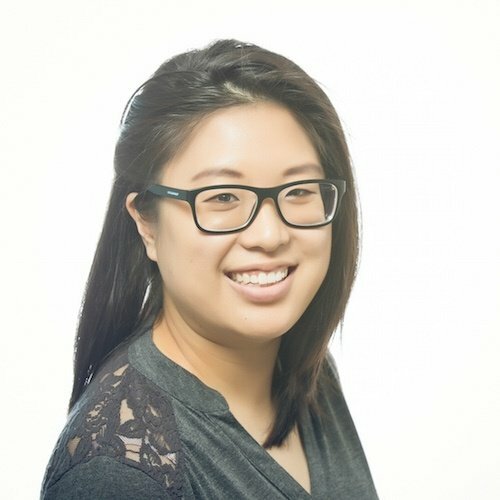 — Smoobu review by Logan W.
— Smoobu review by Petra B.
Lodgable is a full-service channel management solution that eases the marketing, distribution and booking components of a vacation rental or bed and breakfast. The caveat here is Lodgable isn’t a comprehensive solution. Lodgable does have an application programming interface that makes it easy for users to integrate the channel manager with property management software. Lodgable offers homeowners its core features for free. Lodgable offers priced enterprise plans, which include more extensive real estate marketing functionality, on a quote basis. Bookerator is a holiday rental management program that streamlines the advertising of available vacation rentals. 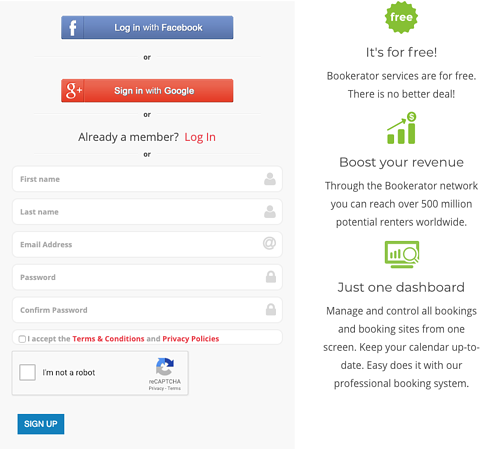 Bookerator goes one step beyond simple channel management, and simplifies the booking and payment process, as well. It can be used by the casual holiday letter, as well as a seasoned multi-property landlord. While the most basic version of Bookerator is free, this vendor does tack on a small charge to the rental price, which is ultimately paid by the client who chooses to rent from the property owner. Bookerator is free for registering and advertising your rentals. Bookerator is also free for landlords who have one property to rent, and manage on a very occasional basis. Premium: Designed for vacation rental managers who own one property, but rents it more than three times a month; $11.95/month. Multi-Property: Designed for vacation rental managers who own between two and 100 properties; $39.95/month. Be the first user to write a Bookerator review! Discoveroom is a lightweight property management program designed for small “lodges,” a term that equates to guest houses, vacation rentals and bed and breakfasts. Discoveroom eases the process of accepting and entering reservations. To optimize their rental marketing efforts, vacation rental owners can use Discoveroom’s in-house booking engine or easily connect to third-party booking engines. Discoveroom has a free edition, but it limits the number of reservations a rental property owner can take (six). The free edition still supports overall property management, channel commissions tracking and guest reminders and notifications. Basic: Adds business reporting, guest management functions and a flexible pricing engine to its free edition; €9/month. Plus: Adds housekeeping management and a website builder to the “Basic” edition; €25/month. Pro: Provides multi-channel synchronization on top of what is included in the “Plus” edition; €45/month. Premium: Provides even more functionality than what is included in the “Pro” edition; priced is on a quote basis. Be the first user to write a Discoveroom review! VROOMRes equips vacation rental managers with the tools to ensure an optimized experience for guests. VROOMRes’ vacation rental management software is called Bookfull, which helps consolidate and streamline all the responsibilities involved in keeping your vacation rental up to date and competitive. 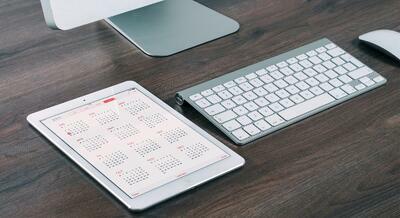 Bookfull can manage a single rental property or multiple. VROOMRes’ product is free to use, save for certain services and tools. VROOMRes’ inquiry management service is an add-on for managing the booking process, including the lead management and customer support issues that crop up. Be the first user to write a VROOMRes review! *Please note: Reviews have been edited for spelling, grammar and clarity. These six vacation rental property management programs are just the tip of the iceberg. 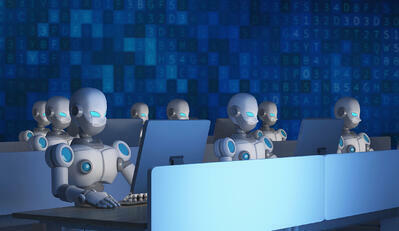 A ton more software options are yours for the taking ... if you want to pay. We recommend taking one of the solutions above out for a spin. See what they can do for your vacation rental business, especially if you’re looking to replace an existing property management or general channel management software that isn’t quite delivering. What is Vacation Rental Property Management Software?